URSULA RUCKER - jessica Care moore's Black WOMEN Rock! 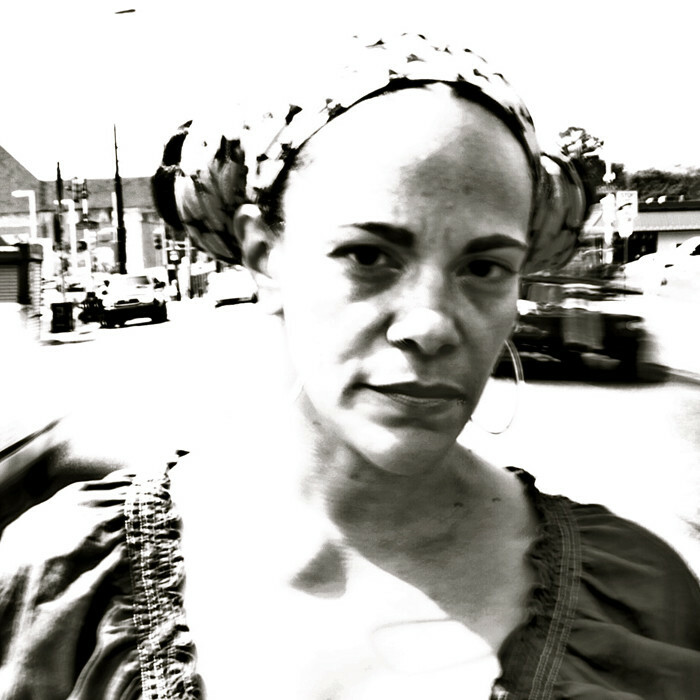 As a poet and performance artist, Ursula Rucker has enchanted critics and fans across the globe with her diverse repertoire, captivating vocals and accessible poetic verse. Born and raised in Philadelphia, she began documenting her observations of the world when she was just a girl. A graduate of Temple University’s journalism program, Ursula kept her creative writing as a prized, personal possession until she was prepared to share with the world. In 1994, she introduced an open-mic night audience at Philadelphia’s Zanzibar Blue to the beauty and urgency of her poetry. Word quickly spread throughout the city of Ursula’s poetry and stage performance, which has been described as “strong, vulnerable, wounded and raging.” Producer King Britt invited her to create her first recording, the 1994 single, “Supernatural” (Ovum/Slip N Slide UK). The alluring poetic tales Ursula created for The Roots contain subject matter that was motivated by genuine concern and heightened consciousness. Whether exploring sexual exploitation as in “The Unlocking” or introducing the lifestyle of a crack-dealing single mother in “Adventures in Wonderland”, Ursula provided listeners with an intimate glimpse of urban reality. Ursula’s work has been described as part of a growing movement that is slowly adapting its aural sensibilities to women, particularly in the hip-hop and urban music. 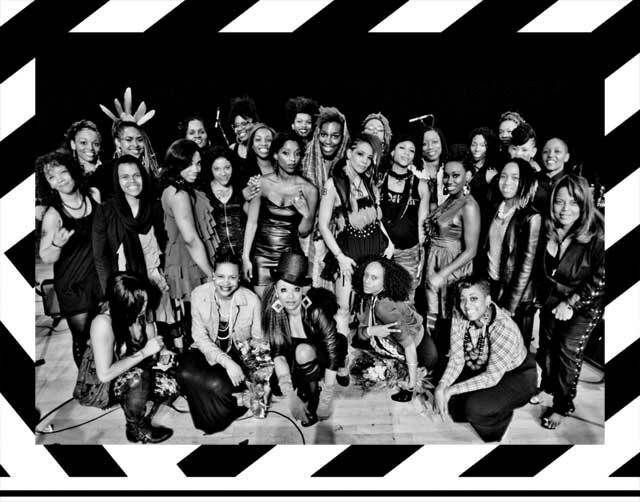 Counteracting male artists who casually linger on tales of black whoredom, Ursula plays an essential role in the rise of a new crop of female recording artists who deliver strong, intelligent, and visionary feminine flavor. In countless reviews, many critics cite the value of Ursula’s work with The Roots, 4 HERO and others. The onslaught of press inquiries resulted in nods, features and demands for more of her work, in URB, VIBE, XXL, Panache, Philadelphia Inquirer, and Straight No Chaser. To date, Ursula has performed her work at an array of venues, universities, and festivals including Montreaux Jazz Festival, Winter Music Conference, Theater of the Living Arts, Painted Bride Art Center, World Café Live, and Drexel University. Ursula has toured with Jamaaladeen Tacuma, SYLK130, and 4 HERO in the United States and Europe. In 2001, her !K7 debut Supa Sista featured production by 4Hero, King Britt and Jonah Sharp and introduced Ursula as a talented poet and solo artist with a strong lyrical voice. Backed again by an assembly of diverse, top shelf producers that included The Roots, Louie Vega and Jazzanova, her 2003 release, Silver or Lead further extended her exploration of self, race and femininity. With ma’at mama, Ursula once again showed a new level of maturity in her writing. Never one to mince words, she exposes various personal insights and truths with steel-cut precision. While her perspective as a proud mother of four informs much of the content; her understanding of her own upbringing drives her work. Ursula’s albums are poetry in motion, guided by a time signature that speaks to the human experience with honesty and poignancy. She recently completed an epic poem for a collaboration with Pullitzer-prize winning photographer Clarence Williams. She has received funding from the Leeway Foundation and in 2010 was named a Creative Ambassador by the City of Philadelphia. Her new and forth coming album, SHE SAID (Noizeyboy Records) is the 5th solo album, and is executive produced by Anthony Tidd, of Noizetrip, for Noizeyboy Records. This is Ursula’s first recording to feature a live in the studio session and focuses on Ursula’s well honed skill and prowess as an improv performance vocalist.